Vintage Belt Buckle. 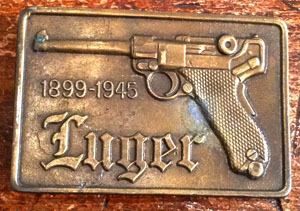 An homage to the classic German handgun with text reading "Luger 1899-1945" with the bust of a Lugar engraved in the buckle. Super cool, Darker Bronze finish. 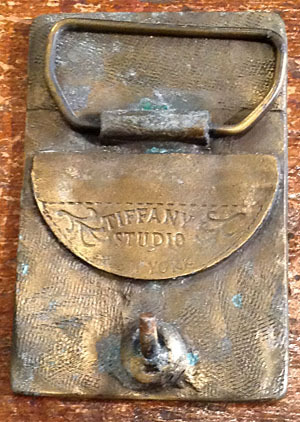 Back says Tiffany Studio New York. We have two buckles in this style.